Designs, The back of each coin is imprinted with the store logo. 4) Two Steam Engines facing each other with "Gold" Spike in middle (The completion of the first Transcontinental Railroad). 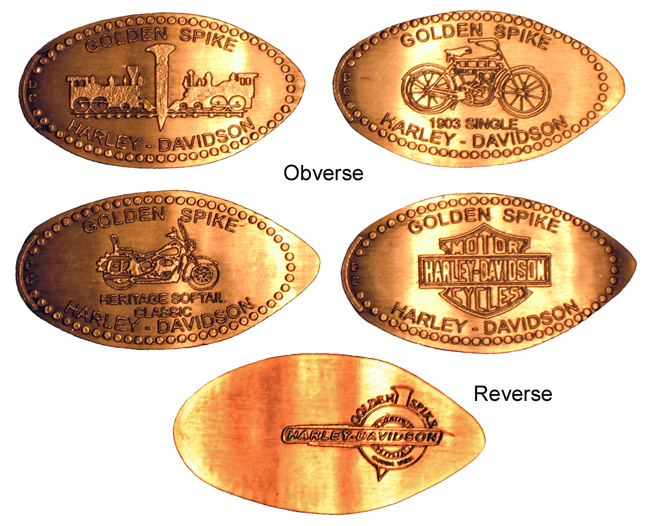 thegillion added Golden Spike Harley-Davidson to system.